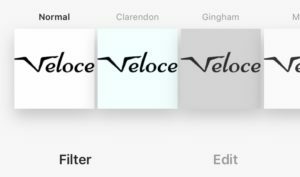 You can only add filters to your photo or video before posting it. You can not change or add a filter to a photo or video after you’ve posted it. When you’ve chosen the photo/video and tapped “Next” in the top right corner, you’ll be presented with the available filters on Instagram at the bottom of the page. Slide between the filters by sliding your finger from right to left. NextCan You Tag People In Your Instagram Videos?